For better or for worse, family members often work together in an ISO business. As with other partners, relatives bring certain legal considerations to an ISO. The purpose of this article is to highlight some of those. Other than familiarity, trust is, perhaps, the main asset family members bring to an ISO business. Many families run ISO businesses together without putting thought into the usual paperwork because they are able to build on trust. As a lawyer, I have to remind readers that, even among family, basic paperwork is recommended. The key legal building blocks to a business, including an operating agreement, non-solicitation agreements, agent agreements and employment agreements, could all add value down the road between family members – if only to remind people of the deals they have made with each other. Sometimes asking for things in writing does more harm to familial relationships than not having anything in writing. That said, I recommend confronting the formalities early in the life of the business to avoid surprises down the road. Trust is not always enough; it's also subject to break once in a while. Subject to suitable waivers of conflict of interest, a single lawyer can draw up an operating agreement and even other 'starter' documents for a family ISO business. However, remember that each person is entitled to independent representation, and getting some independent advice is often helpful, even if there is a high level of trust. Some family members will not want to appear as distrustful, and they will then hire a lawyer to advise them from behind the scenes so as not to damage family relations. When conflicts occur, it's critical for the parties involved to have independent legal representation. 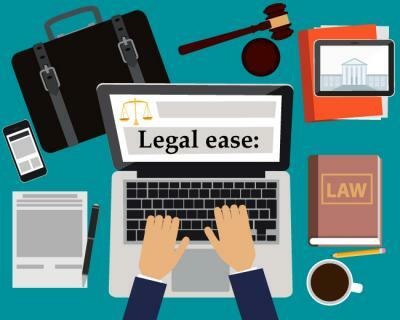 Also, it may be necessary to involve both an expert in the conflict (for example, a divorce lawyer) and a payments industry lawyer to guide the parties through the conflict without damaging the ISO business. Spouses are rarely equally involved in an ISO business. Whether the wife or the husband takes the lead, one is rather more involved in the business than the other. When divorce happens, the ISO business is subject to significant strain. Often, the strain is so great that the business dies as a result. First, the spouse who is less involved might wish to claim value for a portion of the business. This triggers a dispute over valuation. It's one thing to read about sales of ISO businesses at 50 times monthly residuals; it's another thing to prove to opposing counsel or a court that the ISO business is worth one amount or another. Family businesses sometimes operate at a loss – on paper. This can be infuriating for the party claiming value from the ISO business, because the party seeking to lower the value can bank on filings made by the company. Second, divorce proceedings are often rife with distrust. This is detrimental to a business that requires a high level of trust to succeed. For example, the party claiming value might think that the other party is dishonestly placing merchants with a third party to hide value. Whether or not this is actually happening, potential for this exists in every ISO, which makes divorce proceedings involving an ISO business more testy than those over another kind of business. Starting the business with a basic legal framework and good clean records can go a long way toward lessening conflict brought on by divorce. There are many examples of ISO business owners who bring children on board to assume ever greater roles over time and eventually take over the business. This process requires mentorship by the parent, trust on both sides and planning. The retiring parent might want to continue earning a residual from the business he or she built. The son or daughter who takes over may be ambitious and want to grow the business by taking calculated risks – such as working with new creditors or partners. These important transitions should be planned and papered in advance to avoid conflict and surprises. In addition, processors want to know the principals of an ISO – and will deny sponsorship to an ISO whose leadership has inadequate credit or other blemishes. An ISO business is too complicated to succeed in the hands of an untrained person. Consequently, a family ISO business needs to groom a successor ‒ whether within the family or not – well in advance. The ISO marketplace is so competitive, and it is so easy to lose the loyalty of staff or agents, that ISOs need to plan for a robust and stable transition from one leader to another. A sponsoring processor will also be concerned if it has to support an ISO that is run by heirs who do not understand the business. It's a shame to see an ISO business built up over many years – but not yet monetized – lost on account of a failed succession plan. If there is no likely successor, it might be best to sell the business before the operator is too old to run it. Again, with wills and estates, some coordination might be necessary between your succession lawyer (who assists with wills), corporate lawyer and payments industry lawyer, so that the desired outcomes are achieved. Incidentally, our firm (www.adamatlas.com) provides free legal advice to ISO widows and widowers as a form of community service. We are not often called upon in that capacity, but from time to time we have assisted widows selling ISO residuals to make the most of the legacy of their family's ISO business. Most family ISOs we have observed over the years have been successful in navigating the various legal issues related to ISO ownership and the big events in family life. However, some have not done so well. For that reason, it is wise to plan for life's great and not so great events in advance to preserve the equity in the ISO business you are building. Processors, investors and non-family business partners will appreciate this planning even if it is never put to the test.